Our number one priority in working with the agricultural community is to conserve our natural resources and to keep our waters clean. We utilize a number of tools to accomplish this goal. Since 2006 we have obtained over $5 million in state and federal funding on behalf of north country farmers. These funds are used in Jefferson County to implement conservation practices that keep our farms environmentally sound. AEM is a voluntary program that helps farmer make cost-effective decisions to improve efficiency and increase productivity while protecting and conserving our natural resources. The District helps ag producers develop comprehensive farm plans. A Tier 1 questionnaire is the first step. To get started, Click here. Send your completed Tier 1 to the District office: PO Box 139, Watertown, NY 13601. 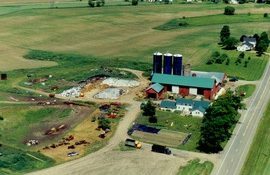 We work with you to create a plan for your farm. If your town assessor recommends a soil group worksheet, contact one of our technicians. 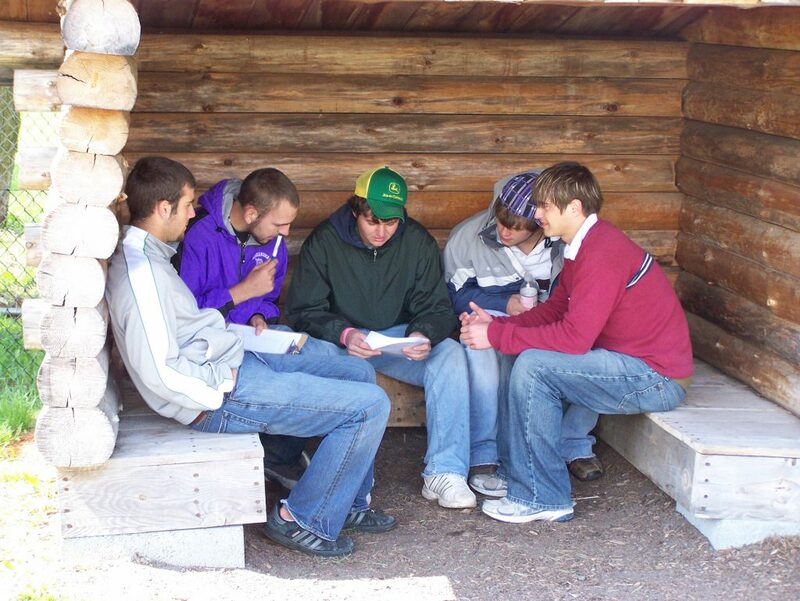 Once completed, the worksheet will be used in preparation of your agricultural assessment. Check with your local assessor to find out the deadline for the application (usually in the spring). 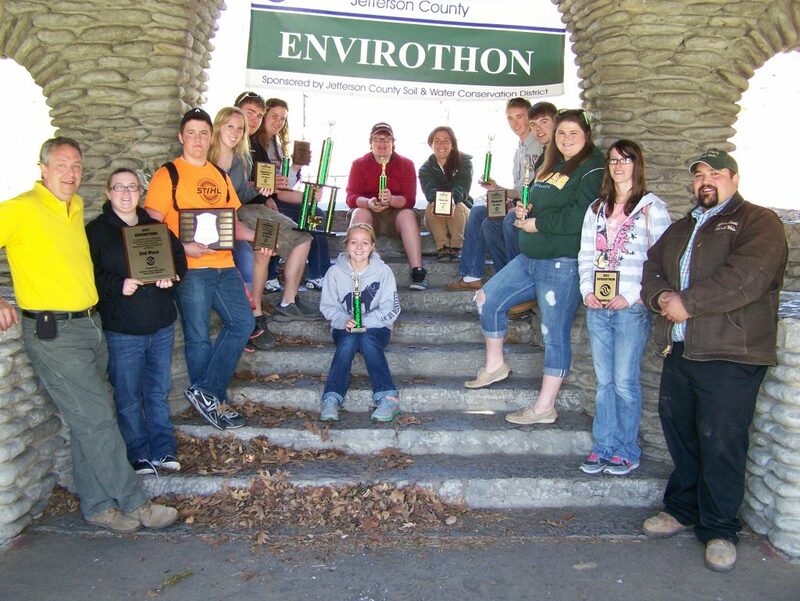 The Jefferson County Envirothon has been held since 1993! 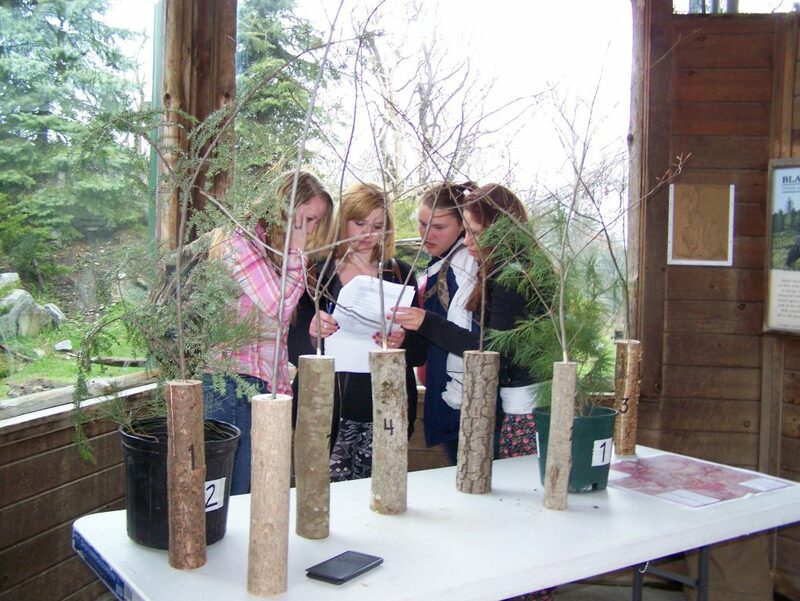 High school students compete in the areas of aquatics, forestry, soil & land use, wildlife, and a current environmental issue which changes annually. 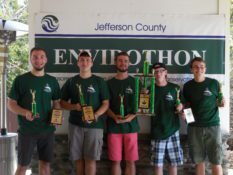 Winners of the Jefferson County Envirothon move on to compete at the NYS Envirothon. 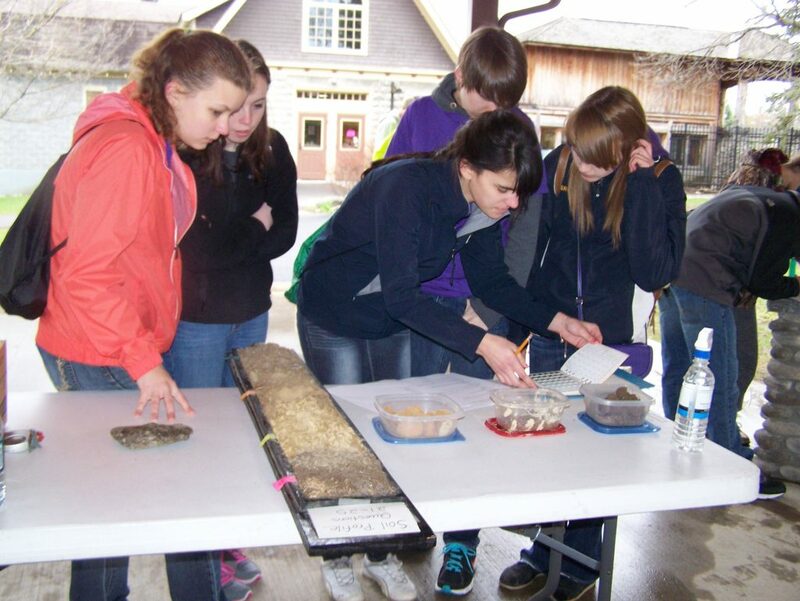 Other educational events are held throughout the County as needed. 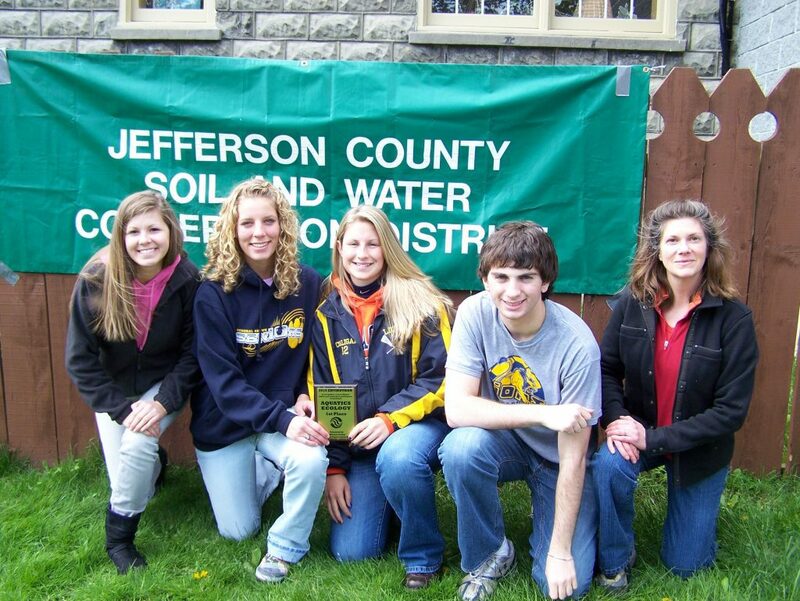 Teams of high school students throughout Jefferson County compete in a variety of topics: Soils, Aquatics, Forestry, and Wildlife issues. Students are also judged on videos they produce to resolve an environmental issue. The current issue changes each year. 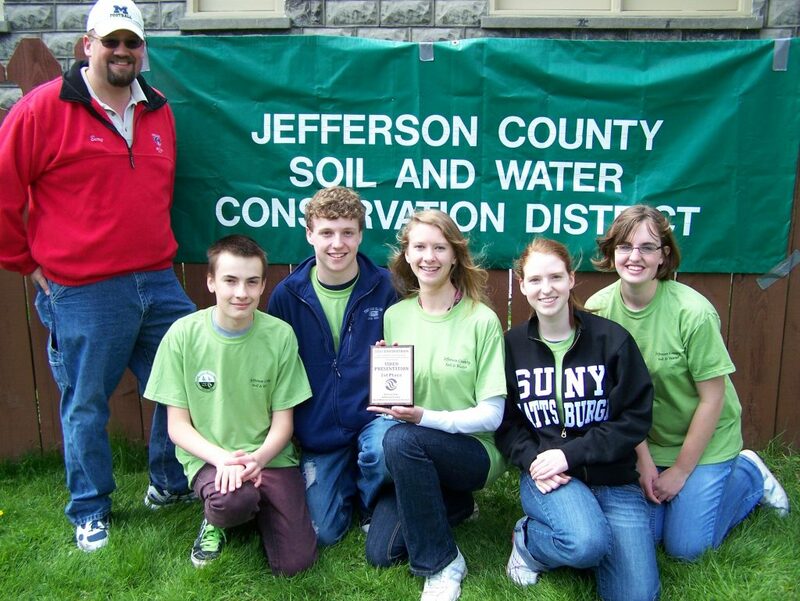 The winning team from Jefferson County moves on to compete at the New York State Envirothon. Click here for 2016 video. The District manages 5500 of the County forestlands. 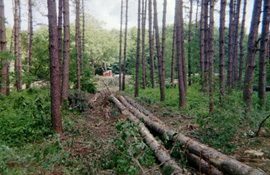 Management includes following short-term and long-term plans for: site preparation, weeding and/or timber stand improvement practices, harvesting timber, maintaining wildlife management, tree planting, natural regeneration, enhancing aesthetics, recreational use, etc. 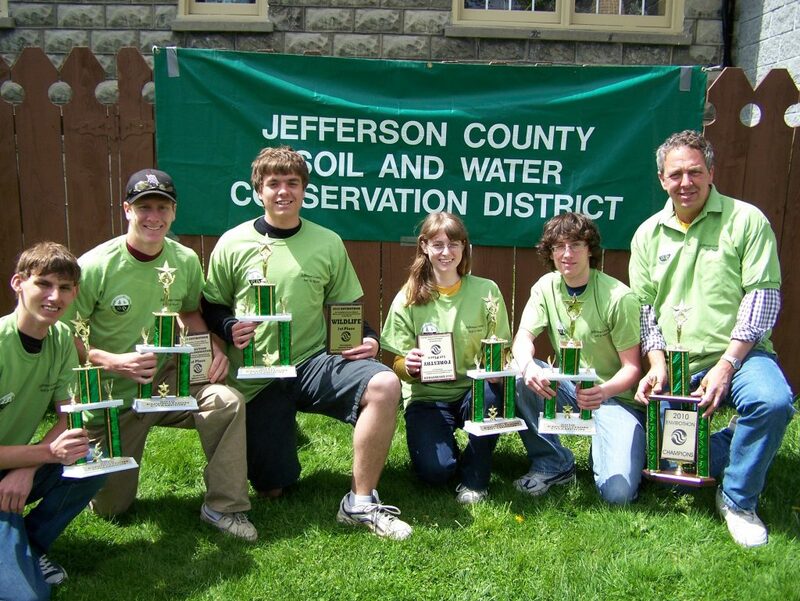 All efforts are made with conservation in mind and maintaining water quality protection. Note deformities and potential obstructions: overhead wires, buildings, manholes, waterlines, etc. Forestry is for towns and villages too! Stormwater is water from rain or melting snow that doesn’t soak into the ground but runs off into waterways. As it flows, it picks up a variety of materials on its way including soil, animal waste, salt, pesticides, fertilizers, oil and grease, debris and other potential pollutants. We provide services to municipalities and landowners to protect our natural resources by implementing stormwater management practices. OLD method: Several passes of spreading seed, fertilizer, and mulch…labor intensive! One pass solution to establish erosion control. Provides a thicker, uniform area. Cost 50-80% LESS than sod! Faster germination for a healthier, greener area. Covers roadsides, slopes, and retains water 10 times better with fewer bare spots. It is safe and non-toxic. 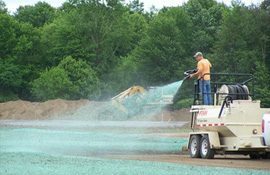 Hydroseeding is available to municipalities and landowners implementing conservation practices. Under the NYS DEC’s Stormwater Permit GP-0-10-001, all developers, contractors and subcontractors must identify at least one trained contractor from their company that will be responsible for implementation of the SWPPP, and have at least one trained contractor on site on a daily basis when soil disturbance activities are being performed. Also, developers must have a qualified inspector conduct regular site inspections in accordance with GP-0-10-001. *Qualified inspectors and trained contractors must have 4 hours of training in the principles and practices of erosion and sediment control endorsed by NYS DEC, SWCD, or CPESC, Inc. Training is good for three (3) years. Training is not required for CPESC, LA, and PE certified persons. Upon completion of the course, each participant will receive a NYS DEC Stormwater Training Number on a certificate and wallet card good for 3 years. This training does not allow contractors to conduct their own Qualified Weekly Inspections. The District offers the training each spring. Training certificates are valid for three (3) years. The District maintains and restores multi-use recreational trails throughout the County’s forestlands. Proper construction of trails is crucial for forest management and protecting our natural resources. Recreation is not the only goal. We must include proper drainage, minimize erosion, provide access for timber harvests, consider wildlife habitat, all while maintaining the natural beauty of the forest. 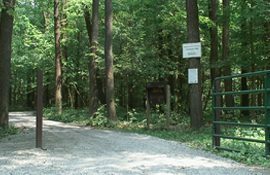 We restore and maintain existing trails on County forest property throughout all four seasons. We develop key trail links to business centers. Please watch the short video clip below to learn more. There are approximately 300 miles of roads open to ATVs in Jefferson County. Additionally there are approximately 36 miles of trails on Jefferson County reforestation lands open to ATVs. We are continually maintaining, restoring, and building new multi-use trails on County reforestation lands. Please follow all regulations when using trails on Jefferson County Forest. Our no-till grain drill is available to seedings or pasture renovations. It reduces compaction , improves soil health, and conserves water for plant growth. Many landowners have noticed a reduction in fuel and machinery costs as well as a reduction in labor cost. Our 7′ seeder is available for seedings or pasture renovations. Worn out hayfields? 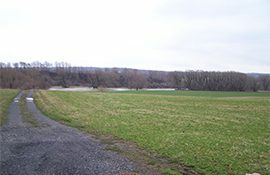 Want to reseed a field? Have more weeds than grass? Want a wildlife food plot? Have some pasture that is not so great for grazing? 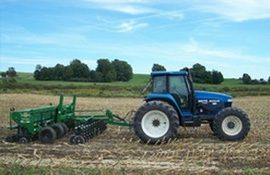 Want to plant small grains or soybeans with minimal tillage? Why should I rent this drill? 256 miles of shoreline on Lake Ontario and the St. Lawrence River; 1800 miles of rivers and streams; over 150 inland ponds, lakes, reservoirs, and rivers; high quality groundwater supplies in the eastern and southern portions of the County; and over 40,000 acres of wetlands, swamps, and marshes! Homeowners should have their well water tested annually. If you are concerned about Coliform or E. coli in your water, our technicians can help. If you suspect a problem with your existing well and you would like your water tested, a technician can come to your home to take a sample for you. Grant funds may be available to cost-share the laboratory cost for your well water test. 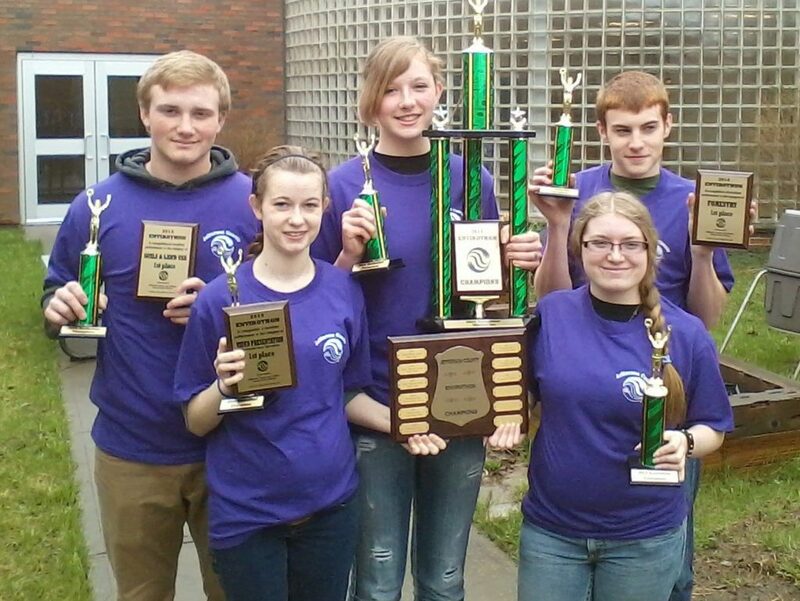 For more information, call (315) 782-2749. Found in the excrements of warm-blooded animals and are accompanied by pathogenic (disease causing) bacteria. There is a simple test for coliform and this test is used as an indicator for water quality. If coliform tests negative, it is considered to indicate safe drinking water, free of waterborne bacteria and pathogens. Water that tests positive for coliform bacteria will also be tested for E.coli, a member of the coliform family that is known to cause illness. The water in your well can change over the course of a year, so it is a good idea to test your well annually to make certain it is safe to drink. A Water Quality Coordinating Committee exists to share the common interest of keeping our waters clean. The Committee meets monthly at our office. Their mission is to assist and coordinate organizations and agencies to protect and improve the quality of both surface and groundwater for their intended uses, with emphasis on water-related issues, primarily the reduction of non-point source pollution.